Many things can make your eyes feel dry, scratchy and uncomfortable like air conditioners or heaters, computer use, reading, medications & wind or a reduction in the amount of tears. Your body produces tears which help to lubricate and nourish your eyes. Refresh Ezee™ restores the moisture of your eyes with a special formula that has some of the healthy qualities as natural tears. Instill 1 to 2 drops in the affected eye(s) as directed. 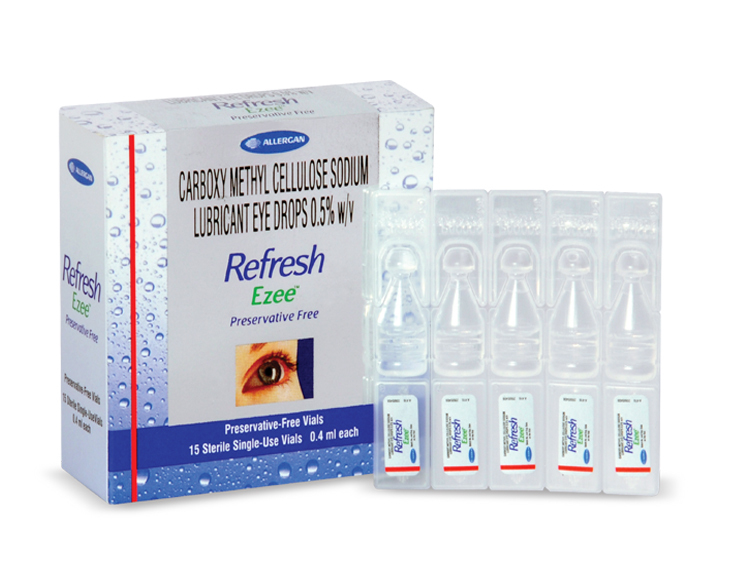 If used for post-operative care (e.g., following LASIK surgery), it is recommended for the patient to follow their eye doctor's instructions.Concomitant ocular medications should be administered at least 5 minutes apart from the instillation of Refresh Ezee™ to avoid washout effects. In sterile, 15 vials of 0.4 ml each along with carton & product leaflet.